Prime Minister Nguyen Xuan Phuc has issued a plan to implement the 2018 Law on Vietnam Coast Guard. The Law on Vietnam Coast Guard was adopted at the sixth session of the 14th National Assembly in November 2018. It will come into force from July 1 with eight chapters and 41 articles. Next month, ministries, sectors and authorities at the provincial level will begin the revision of legal documents on Vietnam’s coast guard and relevant documents, and then report to the Ministry of Defence (MoD) before submitting to the PM. They are also asked to propose ideas to amend, replace, repeal and issue new documents in accordance with the law. The MoD is set to work with competent agencies to devise legal documents on the implementation of the law, which will take effect simultaneously on July 1. 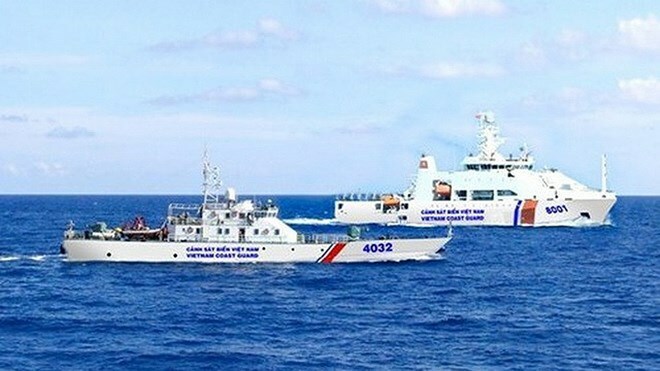 In 2019 and upcoming years, the ministry will host activities to disseminate the law and provide guiding documents to raise public awareness in the building of the Vietnamese coast guard. The PM also ordered refresher courses on the law for leaders at ministerial and provincial levels and armed forces to raise leadership capacity, guidance and implementation in a synchronous, practical and effective manner. From 2020 to 2025, the ministry will be responsible for the building of a plan and project restructuring the current Vietnam coast guard training centre to realise targets of a resolution adopted at the eight meeting of the 12th Party Central Committee on the strategy for the sustainable development of the marine economy to 2030, with a vision to 2045. The Law on Vietnam Coast Guard defines the role and position of the Vietnamese coast guard as the specialised forces of the State, playing the core role in enforcing laws, protecting national security, and maintaining order and safety at sea.